GTRV works closely with each customer to make sure that their camper van meets their individual needs and style, and is built with the highest quality and care possible. 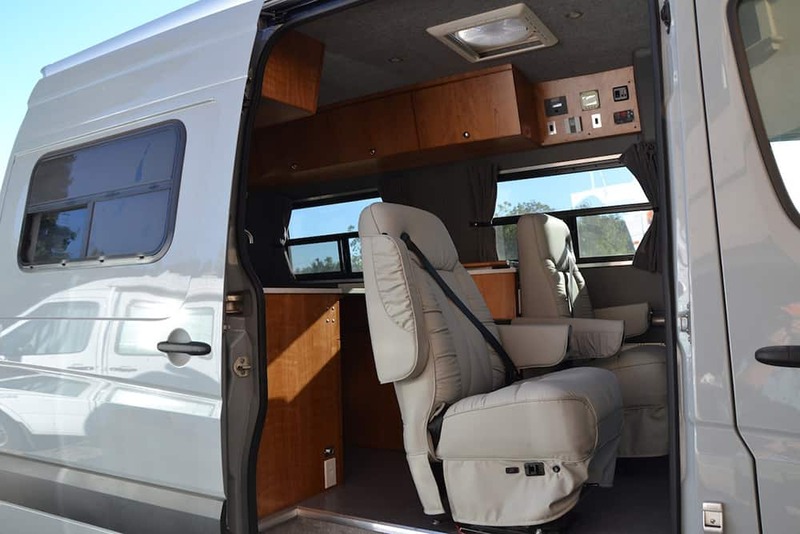 GTRV provides the highest quality camper vans for the US market. Through years of experience, GTRV knows how to build quality Class B Camper Vans. Standard as well as fully customized plans are available on a variety of platforms. This flexibility allows us to personalize your van conversion to match your style and usage. Specialists in hand made, high quality van conversions and accessories, we provide hard-to-find products and services in a world where the notion that “bigger is better” is on the wane. We will work closely with you to ensure that your van conversion meets your personal needs and requirements. We stand behind all of our campervan builds. Call us during business hours or email us and we will be there for you. 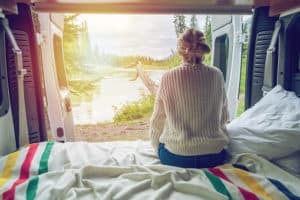 GTRV converts new and pre-owned vans into multi-use, pop-top, Class B RV's. Our camper vans offer multi-purpose convenience and comfort without the expense and inconvenience of bigger less practical homes-on-wheels. They're perfect for discriminating adventurers seeking out-of-the-way, off the beaten path unrestricted access to locations rarely available to larger units. GTRV’s garageable, compact, fuel and space efficient designs serve equally well in all arenas of your life. For the sportsman and the more adventurous we also offer 4WD or AWD versions with a variety of engines and towing options. 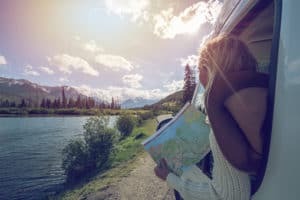 We are fulfilling a growing demand for a smarter, smaller and more efficient Recreational Vehicle, a vehicle that serves everyday uses, yet still takes vacationers and sportsmen to locations beyond the reach of larger units. We manufacture garageable camper vans with sleek, low profile pop-top roofs that permit parking in normal garages, carports and parkades. Our designs completely bypass the restrictions that plague larger RVs. 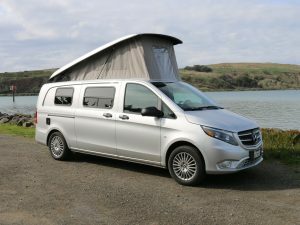 In fact, all our Pop-top Campers are readily accommodated on back country roads, ferries, narrow roads and city streets. 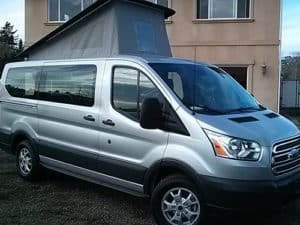 Some of our satisfied customers use their GTRV almost continually as fulltime RVs, touching home base once every few months, while others use them for weekend trips and basic transportation needs during the week. How customers use their GTRV seems limited only by their immediate requirements on one hand and how far they wish to go on the other! To date, they have made it to Alaska, Yukon, Nunavit, North, Central & South America, Asia and Europe! Can't believe that we've put over 25K miles on our GTRV conversion camper van is two years; Georgia to the Canadian Rockies and down the west coast! It's proven to be the perfect vehicle for two very space efficient and adventurous people. We've gone off-grid and stayed in 'normal people' campgrounds, tho the former is our preference. The workmanship of GTRV's Westy conversion has proven to be sturdy and reliable, with a few minor issues. Definitely, best bang for the $$! I bought the very first GTRV Westy Ford van conversion for the US market. That was twelve years (1998) and 215,000 miles ago. The Westy continues to provide camping fun, now to my son and his family. My travel journal is at http://sky.prohosting.com/chainfl/index.htm with photo journals and blogs – from before blogs were invented. I could not begin to praise the GTRV quality enough – the workmanship is simply outstanding and the after-sale service has been most helpful. Mike Reed, Julia Whitman, and Roy Wiesendahl are a trustworthy team that stands behind the product. Buy a GTRV Westy, you won’t regret it! I would buy another one in a heartbeat, except that I’m not as nimble as I used to be. We recently picked up our GTRV Westy at the factory and had a marvelous two-week vacation driving it home to Alabama. Wanted to thank the Yahoo Users Group owners forum participants for their insights. We are thoroughly pleased with the van. We purchased "sight unseen" via theelephone/internet/US Mail, so it was certainly a different but pleasant experience as many of you can relate. If we can help anyone in the future with their decision by showing our Westy, we would be glad to do it. Thanks again for your helpful forum comments. We have had the Westy for almost 8 trouble-free years now. Over 70,000 miles of fun so far. It was the best recreational investment that we could have made. I have compared the worksmanship to the competitors units that we have camped next to over the years and GTRV is superior. Mike, Julia, and Roy were a big help at the time of purchase and have always answered any questions that I have had over the years. "I can't imagine how it could be done better." I am new to the RV scene and evidently extremely lucky to have picked a GTRV Westy as my first. I was considering buying a Volkswagen Westphalia and converting the snail to Subaru power as I hate to "Lead the Parade". 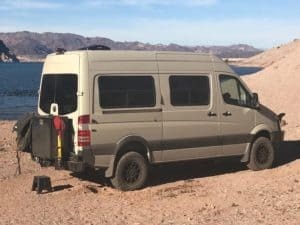 Just about the time I decided that such a project would be too much to take on, my wife spotted an American-made van with a pop-top, and the (on-line) search was on. A short time later, there it was; the GTRV Westy. I joined the yahoo group and soon, up popped an offer to sell. 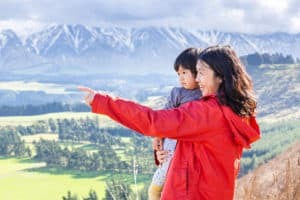 I took a chance, offered the asking price sight-unseen, and jumped on an airplane using a one-way ticket. I am delighted with both the design and quality of my GTRV. I can't imagine how it could be done better. 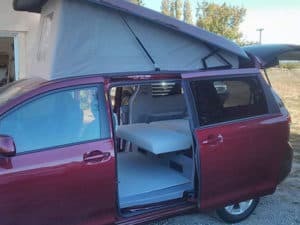 The people in the (Yahoo) discussion group have been incredibly helpful as has Roy Wiesendahl, owner of GTRV, and Mike Reed who, in northern California, orders and modifies these RVs for his customers.